October 23, 2018 — The American Lobster Management Board took a first step toward adopting regional bait safety rules, voting Monday to develop a resolution to prohibit the use of exotic baits that could introduce disease, parasites or invasive species to East Coast waters. The board unanimously agreed on the need to shield native species, including the $1.4 billion Maine lobster industry, from the dangers posed by the mad scramble for new kinds of bait that may occur when regulators slash herring quotas next year. This action came at the request of Maine Department of Marine Resources, which enacted its strict bait rules in 2013. But Commissioner Pat Keliher said risky bait is still finding its way into the Gulf of Maine through New Hampshire, Massachusetts and Canada. “This is one of the most serious issues we face as an organization,” Keliher told the board. 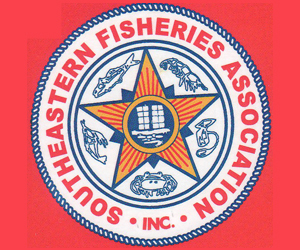 The board – which is part of the Atlantic States Marine Fisheries Commission – agreed to develop a bait safety resolution based on Maine’s rules that all lobstering states would enact by 2020 – a quick but voluntary fix. To get compliance, the board also plans to begin the slow process of adding bait safety to its lobster management plan. The horseshoe crab board, for example, passed a similar resolution banning the use of Asian horseshoe crabs as bait. 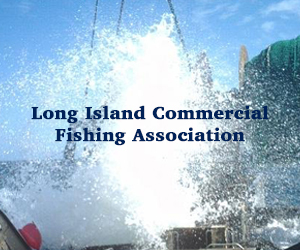 Most member states voluntarily honored the bait ban resolution, but New York continues to allow the practice, regulators noted. 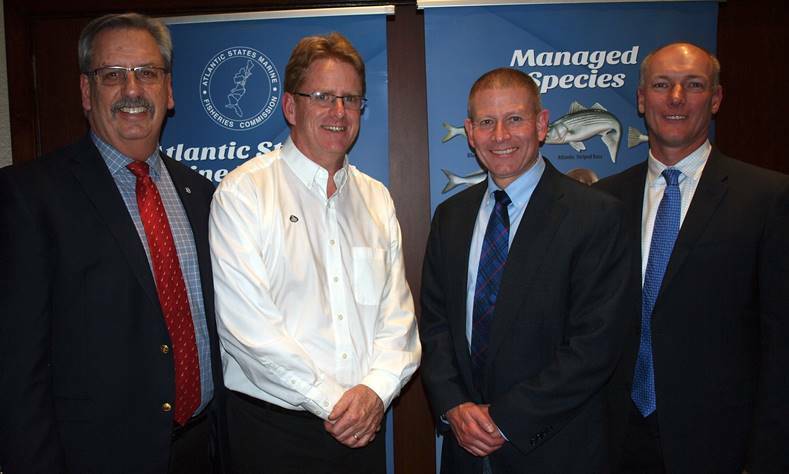 The Atlantic States Marine Fisheries Commission presented Mr. Dan McKiernan, Dr. Larry Jacobson and Colonel Kyle Overturf with its Annual Awards of Excellence for their outstanding contributions to science and law enforcement along the Atlantic coast. Dan McKiernan has been a vital contributor to the Commission’s management and policy programs for over three decades. Throughout his career, he has worked tirelessly to meet the needs of Massachusetts’ fishermen while ensuring the health of the fisheries resources on which they depend. At the management board level, Mr. McKiernan approaches problem solving in a pragmatic, collaborative way. His recipe for success has been one part engagement and one part persuasion, bringing his colleagues together during board meetings or over a friendly meal to make his case for Massachusetts’ position while finding effective solutions to difficult interstate fisheries management problems. Mr. McKiernan’s efforts on the development and adoption of Amendment 1 to the Tautog Fishery Management Plan illustrate his dedication to the collaborative process. Working closely with neighboring Rhode Island officials, he helped to develop uniform rules throughout the region. He was also a staunch advocate of a harvester tagging program to improve tracking of fish in commerce, thereby addressing a longstanding poaching problem in the fishery. Having spent much of his career working on science and management of the lobster fishery, there are few who are more passionate and dedicated to this species. As Chair of the American Lobster Management Board, Mr. McKiernan skillfully led the Board through difficult deliberations regarding the findings of the 2015 benchmark assessment and the future management of the species. In response to the decline of the Southern New England stock, Mr. McKiernan was integral to right-sizing the industry in Lobster Conservation Management Areas 2 (inshore Southern New England) and 3 (offshore waters) to the abundance of the resource. This was accomplished through trap reductions over a six-year period. Mr. McKiernan understands that on-the-water experience and talking to fishermen is a critical component of any fisheries manager job. That is why he has spent considerable time on fishing vessels acquiring the hands-on knowledge and perspective necessary to understand and respect fishermen’s views. Throughout his career, Mr. McKiernan has been a proponent of working with the fishing industry to understand their unique perspective, get advice about management issues, and engage them in cooperative fisheries research. Dr. Larry Jacobson has greatly advanced the scientific understanding of American lobster biology through his contributions on the Commission’s American Lobster Stock Assessment Subcommittee. In 2004, Dr. Jacobson was one of the lead model developers for the Lobster Model Technical Review. He played an important role in shifting away from the historical Delury stock assessment model to the current statistical length-based approach developed by Dr. Yong Chen. Dr. Jacobson’s extensive knowledge in population dynamics and statistics, combined with his model programming skills, were invaluable during this transition and the continued development of Dr. Chen’s assessment model. During the 2015 lobster assessment, Dr. Jacobson took over the assessment responsibilities for the Gulf of Maine stock. Under his leadership, the assessment model was substantially improved to incorporate spatial dynamics within a stock and show changes in climate and stock productivity. These improvements allowed for accurate modeling of the Southern New England stock decline, as well as the rapid increase in the combined Gulf of Maine/Georges Bank stocks. The 2015 lobster assessment could not have been completed in a timely fashion without Larry’s skill and commitment. Dr. Jacobson’s willingness to step into a leadership role when needed, his commitment to seeking out and using the best scientific methods available, and his dedication to sharing his knowledge of lobster biology and stock dynamics with his colleagues are several reasons why American lobster is one of our best understood marine species. Colonel Kyle Overturf exemplifies the lifelong commitment and spirit of public service that is common among his natural resource enforcement peers. Growing up hunting and fishing, Colonel Overturf learned the “game warden” lifestyle firsthand from his father, who served 25 years with Connecticut’s Environmental Police. Colonel Overturf began his law enforcement career in 1986, serving as a Conservation Enforcement Officer in the Central Marine Sector for the State Environmental Police. Progressing through his career, Colonel Overturf was promoted to Sergeant, then to Eastern District Supervisor in Recreational Law Enforcement. He later went on to serve as Captain and Commander of the State’s Western and Marine Districts. In recognition of his leadership and professionalism, Colonel Overturf was promoted to Colonel in 2010 and continues to lead the Connecticut Environmental Conservation Police as Director. That leadership and professionalism has been reflected in Colonel Overturf’s work throughout his career, where he has focused on the mentoring, instruction and professional development of fellow marine and conservation officers. Colonel Overturf has served as an instructor at the Connecticut Police Academy and currently serves as an Adjunct Instructor at the University of Connecticut, where he teaches Conservation Law Enforcement. He has been a leader in resource conservation at regional and national levels, serving in the National Association of Conservation Law Enforcement Chiefs, including as President of the Northeast Association of Chiefs. He supported the development of an enforcement group within the Association of Fish and Wildlife Agencies, and for many years has been a positive presence on the Commission’s Law Enforcement Committee. Colonel Overturf served as Law Enforcement Committee Chair from 2011-2013. Reflecting his concern for professional development and training in the field of marine and conservation enforcement, Colonel Overturf has been a staunch advocate and supporter of a nationwide Conservation Law Enforcement Leadership Academy, administered through the National Association of Conservation Law Enforcement Chiefs and with support from the United States Fish and Wildlife Service. He serves on the Academy Steering Team and was a member of the first graduating class in 2014. He actively encourages and supports future leaders through this program, carrying on a tradition of care and passion for protecting all our natural resources that was bestowed on him by his father. Learn more about the ASMFC by visiting their site here. The Atlantic States Marine Fisheries Commission’s American Lobster Management Board approved American Lobster Draft Addendum XXVI/Jonah Crab Draft Addendum III for public comment. Given the same data collection needs apply to both American lobster and Jonah crab fisheries, Draft Addendum XXVI and Draft Addendum III are combined into one document that would modify management programs for both species upon its adoption. The Draft Addenda seek to improve harvest reporting and biological data collection in the American lobster and Jonah crab fisheries. The Draft Addenda propose using the latest reporting technology, expanding the collection of effort data, increasing the spatial resolution of harvester reporting, and advancing the collection of biological data, particularly offshore. Recent management action in the Northwest Atlantic, including the protection of deep sea corals, the declaration of a national monument, and the expansion of offshore wind projects, have highlighted deficiencies in current American lobster and Jonah crab reporting requirements. These include a lack of spatial resolution in harvester data and a significant number of fishermen who are not required to report. As a result, efforts to estimate the economic impacts of these various management actions on American lobster and Jonah crab fisheries have been hindered. 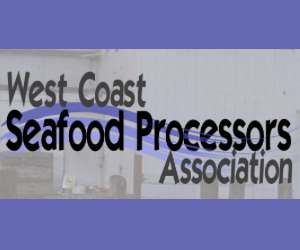 States have been forced to piece together information from harvester reports, industry surveys, and fishermen interviews to gather the information needed. In addition, as American lobster and Jonah crab fisheries continue to expand offshore, there is a greater disconnect between where the fishery is being prosecuted and where biological sampling is occurring. More specifically, while most of the sampling occurs in state waters, an increasing volume of American lobster and Jonah crab are being harvested in federal waters. The lack of biological information on the offshore portions of these fisheries can impede effective management. The Draft Addenda present three questions for public comment: (1) what percentage of harvesters should be required to report in the American lobster and Jonah crab fisheries; (2) should current data elements be expanded to collect a greater amount of information in both fisheries; and (3) at what scale should spatial information be collected. In addition, the Draft Addenda provide several recommendations to NOAA Fisheries for data collection of offshore American lobster and Jonah crab fisheries. These include implementation of a harvester reporting requirement for federal lobster permit holders, creation of a fixed-gear VTR form, and expansion of a biological sampling program offshore. It is anticipated the majority of states from Maine through New Jersey will be conducting public hearings on the Draft Addenda. The details of those hearings will be released in a subsequent press release. The Draft Addenda will be available on the Commission website, www.asmfc.org (under Public Input) by October 27th. 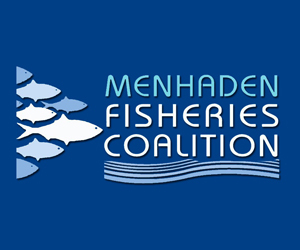 Fishermen and other interested groups are encouraged to provide input on the Draft Addenda either by attending state public hearings or providing written comment. Public comment will be accepted until 5:00 PM (EST) on January 22, 2017 and should be forwarded to Megan Ware, FMP Coordinator, 1050 N. Highland St, Suite A-N, Arlington, VA 22201; 703.842.0741(FAX) or at comments@asmfc.org (Subject line: Draft Addenda XXVI & III). 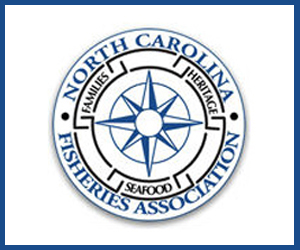 Supplemental materials for the Atlantic States Marine Fisheries Commission’s 76TH Annual Meeting have been posted at http://www.asmfc.org/home/2017-annual-meeting for the following Boards/Committees (click on “Supplemental” following each relevant committee header to access the information). For ease of access, supplemental meeting materials have combined into one PDF –http://www.asmfc.org/files/Meetings/76AnnualMeeting/76AnnualMeetingSupplementalCombined.pdf. As a reminder, Board meeting proceedings will be broadcast daily via webinar beginning October 16th at 10:15 a.m. and continuing daily until the conclusion of the meeting (expected to be 3:00 p.m.) onThursday, October 19th. The webinar will allow registrants to listen to board/section deliberations and view presentations and motions as they occur. No comments or questions will be accepted via the webinar. Should technical difficulties arise while streaming the broadcast the boards/sections will continue their deliberations without interruption. We will attempt to resume the broadcast as soon as possible. Please go to https://attendee.gotowebinar.com/register/8911027556606824449 to register. Board/Section summaries, presentations, and audio files will be available at http://www.asmfc.org/home/2017-annual-meeting the week of October 23rd. August 11, 2016 — ELLSWORTH, Maine — While Maine’s lobster industry continues to be strong, problems with the bait supply notwithstanding, fishermen seeking lobsters in the waters in southern New England have not been so lucky. Over the past several years, the effects of warming ocean temperatures have wreaked havoc on the lobster stock in southern New England. Last month, fisheries regulators once again turned their attention to the problem. The American Lobster Management Board of the Atlantic States Marine Fisheries Commission has approved the development of new changes to the fishery management plan that regulates the inshore lobster fishery. The changes are aimed at finding ways to rebuild the depleted stock of lobsters in the waters of southern New England while preserving a functional portion of the lobster fishery in the area. The changes could include a variety of measures aimed at increasing egg production and lower fishing mortality of the challenged stock. Among the new controls could be an increase in the minimum size of legal lobsters and of the escape vents in lobster traps. The plan also might include seasonal fishing closures, limits on the number of traps that may be fished and a reduction in the number of traps in the water. August 9, 2016 — The American Lobster Management Board has released a draft plan responding to declining stocks of lobsters in Southern New England waters that will be considered by the Atlantic States Marine Fisheries Commission at its annual meeting in late October. 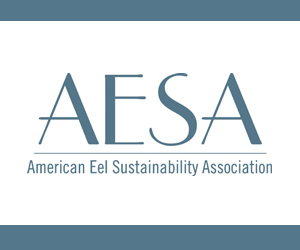 The proposal presents a suite of management measures to increase egg production and lower harvesting mortality through a combination of management tools that include season closures, trap limits and reductions and changes in escape vent and lobster size regulations. The goal is to increase egg production for lobsters in Southern New England waters from zero to 60%. The draft responds to the 2015 American lobster benchmark stock assessment that found the Southern New England “stock severely depleted and undergoing recruitment failure with poor prospects of recovery,” according to Friday’s statement from ASMFC. ￼￼￼ASMFC reported that declines in in the offshore portion of the fishery were evident as well though not as severe. But it also noted the offshore portion of the Southern New England stock depends on a viable population of young lobsters in waters closer to the shore. May 2, 2016 — NEW BEDFORD, Mass. — Interstate fishing regulators will consider authorizing new tools to address southern New England’s declining lobster population. The Atlantic States Marine Fisheries Commission’s American Lobster Management Board will consider the status of the fishery on Monday. The board will discuss a potential motion to create new management measures that address the lobsters’ decline. The Atlantic States Marine Fisheries Commission’s American Lobster Management Board initiated Addendum I to the Jonah Crab Fishery Management Plan (FMP) to consider changes the incidental bycatch limit for non-trap gear. The FMP currently prescribes a 200 crabs per calendar day/500 crabs per trip incidental bycatch limit; however, concerns were expressed over the appropriateness of these limits. Data submitted by the New England Fishery Management Council and NOAA Fisheries illustrated while 97-99% of trips from 2010 through 2014 have been within the current limit, there were a number of trips above the limit. Furthermore, current bycatch landings are sufficiently low, accounting for approximately 1% of total landings. 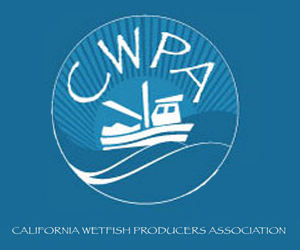 Given a goal of the Jonah Crab FMP is to prevent expansion of the fishery while including all current participants, the Board has initiated an addendum to consider altering the incidental bycatch limit with options to increase the limit to 1000 crabs per trip or eliminate the bycatch limit for non-trap gear. Draft Addendum I will be presented to the Board in February. 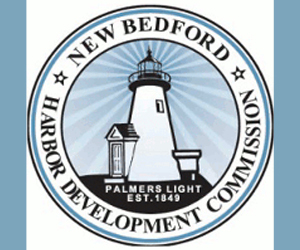 If approved, the Board would release the Draft Addendum for public comment and will consider final approval of the addendum at the Commission’s Spring Meeting in May. For more information, please contact Megan Ware, FMP Coordinator, at mware@asmfc.org or 703.842.0740.